Author Kevin Jared Hosein meets me at Starbucks, MovieTowne, Port of Spain. The usually calm Hosein, 31, is annoyed, his long hair mussed. He's late for the interview because of traffic and because a workman was tardy. Hosein is working on his house, where he and his fiancee, writer Portia Subran, plan to live when they marry next year. He proposed in March, just before the publication of his third book, The Beast of Kukuyo, a young adult novel that, as a manuscript, won a CODE Burt Award for Caribbean Young Adult Literature in 2017. “I edited the entirety of Beast of Kukuyo in a Starbucks, so.. somewhat fitting,” he had written in our social media chat when I'd proposed the venue the day before. Hosein is a hot ticket. His second book, the novel The Repenters, published by Peepal Tree Press in 2017, was longlisted for a 2018 Dublin International Literary Award, and he had a short story published in the Commonwealth anthology We Mark Your Memory: Writings from the Descendents of Indenture. Then came the announcement that he'd, for the second time, won the Commonwealth Writers Short Story Prize for the Caribbean region. He won in 2015 for The King of Settlement 4, a story told by a boy living in “the plannings” who gets caught up in a drugs gang. “At that time rejections was fairly new to me, and you seeing the same thing over and over... 'Sorry we couldn't...' It was too painful. Hosein writes like he talks: the erudite vocabulary of a well-read man with higher education (he has a UWI degree in biology and environmental science) blended with the everyday Trini Creole of his crime-beleaguered hometown, Dass Trace, Enterprise. He thinks his writing success, like winning the Commonwealth, is attributable to luck, not just talent. “When I hear Commonwealth I thinking England, I thinking posh, very purple prose-ish, big words – not the kind of thing I would naturally write. I did three stories like that and I submitted it. It wasn't really something I wanted to write; I just write it for the competition. I don't know if it had heart in it. It failed. The fourth time, I had old stories, like King of Settlement 4 and thing. I still wanted to enter; you don't lose anything by entering. So I literally pull one out of the pile and just send it, and it get shortlisted and it win. “It was strange. I know I liked it but I didn't think they would like it. That language in which he writes blends all kinds of references and styles. “Is not true Trini,” Hosein agrees when I suggest it. “It's an imagined dialect. 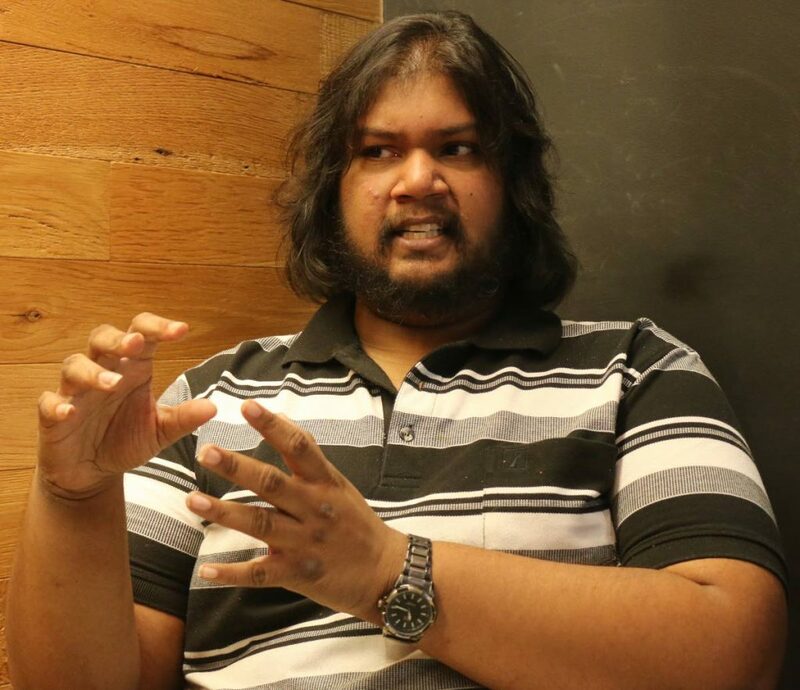 Award winning writer Kevin Jared Hosein believes Trinidad's stories can be told in non-traditional genres, such as science fiction, horror and fantasy. He believes in research. His ideas often come from true stories: “I usually have snippets of Trinidadian stories in my head.” So Passage, the new winning story, evolved. The family had burnt the body of their dead child in their yard; the family was reported to be living in filth, the children malnourished and kept virtually prisoner in their home in Point Fortin. “These are not rare things in Trinidad. You have strange things like this all the time. The protagonist of Passage finds the family; the story is as much his as theirs. All the regional winning stories will be published in a forthcoming Granta edition. If Passage is like other Hosein works in its “imagined dialect” and being based on true events, it is different in one regard: the protagonist is middle-aged. Hosein usually writes from a child's perspective. He returns to this point later in the interview when he's talking about The Rebel, his story in We Mark Your Memory. “Angelo Bissessarsingh,” he says, naming a beloved writer and historian from South who died last year. “I went to visit him some months before he passed. We used to talk online. He said he always wanted to just sit down and talk with me, so I went and he was passing on some stories to me – mostly indenturship stuff – and one was about this Indian driver – they's call them saddars – him and one of the labourers, right? It's the story of a sword, the sword that decapitated this driver. They found his head laying in the field. “The story is about a kid who finds the body. “You ever read No Pain Like This Body?” The classic by Harold Sonny Ladoo is a desperately sad novel about an Indo-Trinidadian family dying in poverty. “That had a heavy heavy influence on this. Usually I try not to write something after I just read something because I would want to mimic it, but I think in this case it helped. He had a way of representing how the labourers and so on spoke, especially children. Though Hosein's writing is literary, it's also genre: young adult, horror, sci-fi and fantasy. He thinks there must be more genre writing coming out of the region to bring young readers to books again. He ought to know; as a secondary school science teacher he spends much of his day with young people. 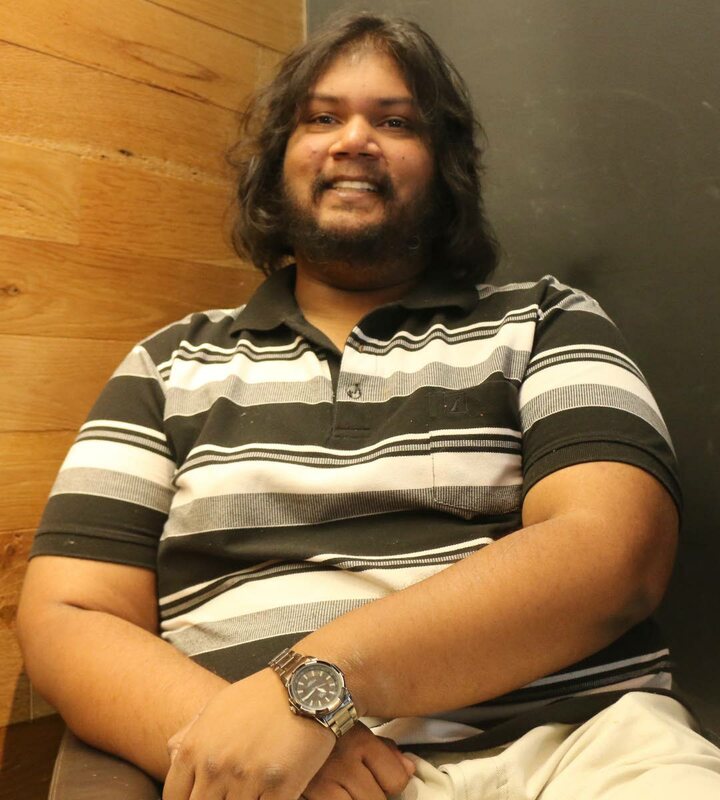 If anybody's going to do it, it will probably be Kevin Jared Hosein. Reply to "Hosein’s hot ticket"